Now that the weather is getting warmer, these are the skincare products I use to see me through the spring/summer season. 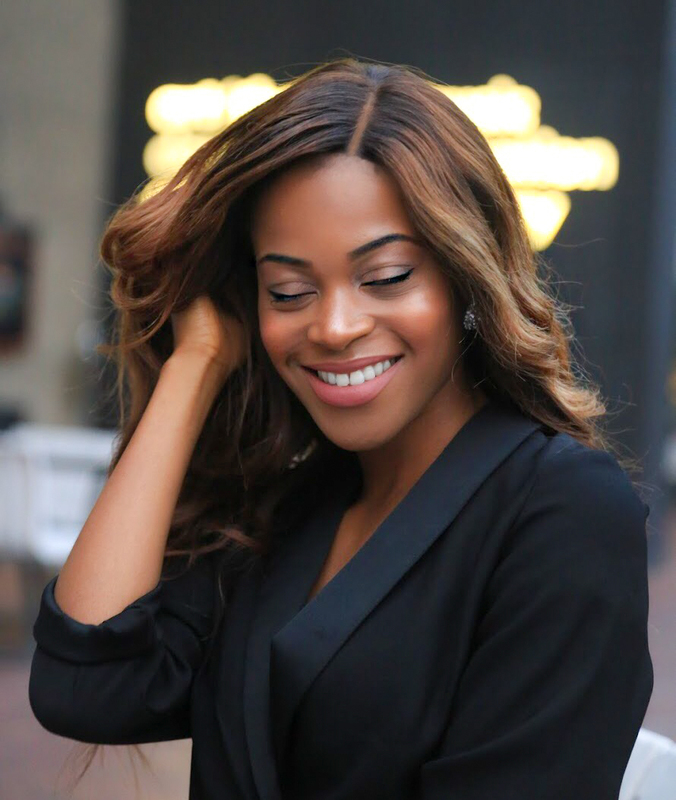 I'm an avid fan of Clarins, (am sure you probably know this already) and I can't stress enough how important skincare is and why you should always care for your skin, no matter what. I mean, this is the skin you will have for the rest of your lives, so treat it like it's your temple! (right, enough being preachy). These range of products that I'm introducing to you, are amazing, inexpensive and light weight for the skin. Just what you need for this weather to perfect that base of yours. 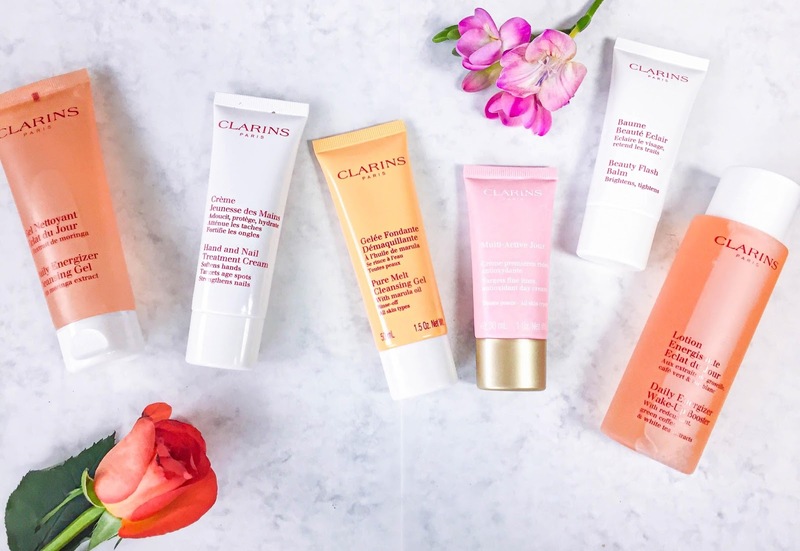 Here are the original sizes for the Clarins products shown above, as some of the products on my flatlay are smaller versions. Before I apply this, I wet my face and use the cleansing gel onto my skin. This cleanses my skin thoroughly and you can tell it how clean it makes your skin look and feel. Washes off makeup instantly. Your hands always need attention and care and this bad boy keeps my hands so soft, hydrated and what's even better? Not even a sticky feeling. My nails can sometimes become dry and brittle and this product helps keep my nails going from strength to strength in the time of need. With ingredients like Aloe Vera and Shea, you know this smells divine! I mentioned in the beginning about wetting my face before applying the Daily Energiser Cleansing Gel. Well, this is the other way round. You apply this product to your damp skin first, massage the gel all over your face, avoiding the eye area. The gel transforms into an oil consistency (that's the Marula oil) and picks up every bit of dirt off the skin. Water activates the gel into a silky milk that cleans your skin. I look so radiant after doing this, its insane! A must have in my opinion, this is a new addition to my skincare collection and I must say this leaves my skin feeling so moisturised and plump. Not to mention, the sweet smell of this lotion lingers and I just love it. The product that keeps on giving! This has to be the longest Clarins product I have owned and I swear by this. This gives you that instant, youthful glow. I apply this after my daily moisturiser for a skin pick-me-up. I've had my tired days and this will make you look how coffee makes you feel. Alive, rested and ready to go. I highly recommend this! This toner is a life saver for mornings when you feel your skin is looking so dull and not at its best. I pop the booster onto a cotton pad and gently apply all over my face. Its toning benefits helps boost my complexion, leaving my skin lustrous. What skincare products do you use in spring/summer? When it's a beautiful day in England and the chances are we may not experience this for a while...It calls for a photoshoot in the sunshine! This season is all about taking on a distinctive trend. I have seen the comeback of frills, twisted, ruffled and knotted garments and I think it's such an easy way to look like you're making a fashion statement, without being too overdone. I had to share this look for you guys just because I love an outfit that boasts standout details as well as keeping it classique. 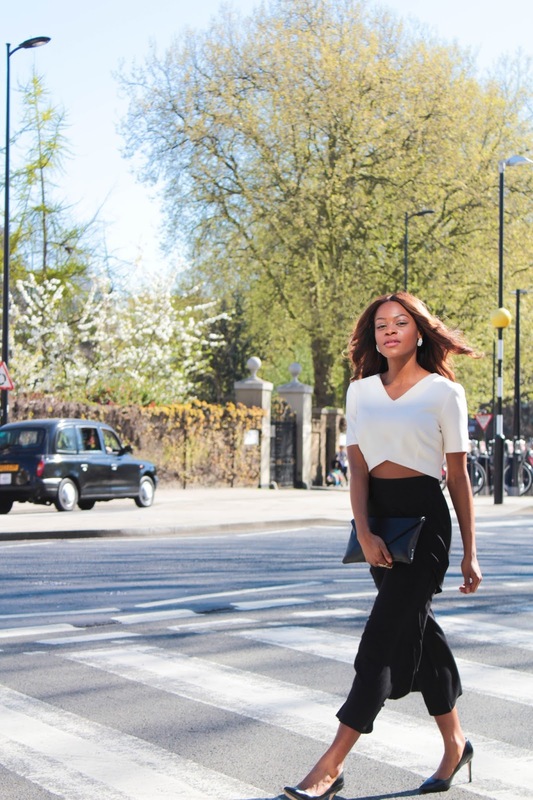 I simply styled this outfit with a structured white crop top that has a curved hem at the bottom. I felt this would work perfectly with ruffled culottes to show off the details of the trousers and give the overall outfit a perfect contrast! I teamed it with a black envelope clutch bag and staple black court heels. This look can easily take you from day to night. I can't wait to show you more outfit posts now that spring has arrived. Be sure to follow me on all social media handles to keep updated.